I installed Xubuntu 13.04 two months ago. But I don't know to find out which driver is installed for my GPU ( I mean graphic card driver ) or is it installed? I'm feeling something is wrong with my pc graphics. Run sudo lshw -c video | grep 'configuration' to see the video driver used, or sudo lshw -c video for more detail. i915, for example, means your video adapter uses the Intel 915 drivers. 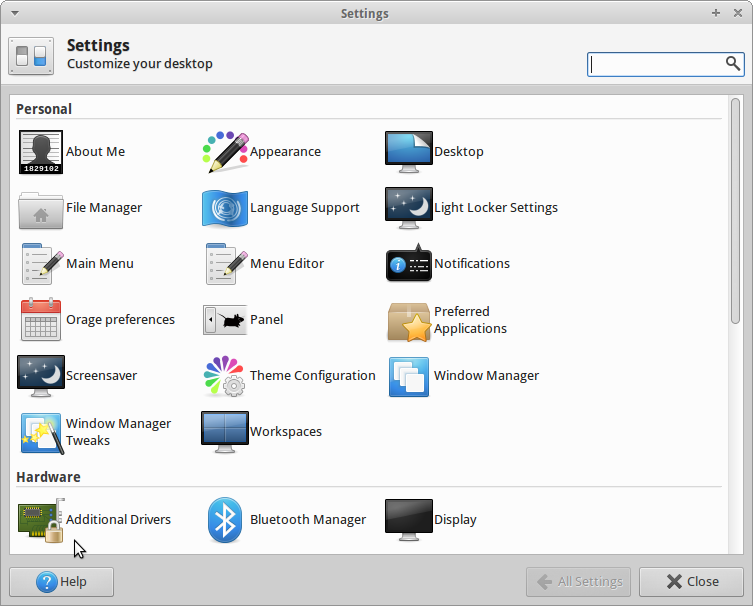 In the Xubuntu menu click on Settings Manager. This will open the Settings window. In the Settings window under the Hardware heading, click on the Additional Drivers icon. This will open the Software & Updates window and show the Additional Drivers tab. If you have a graphics card driver installed, there will be a black dot appearing to the left of it, showing that it is installed. The recommended graphics card driver, if there is one in the list, is the one that has [Recommended] appearing after it. You can install the Recommended driver by selecting the Recommended driver from the list of drivers, clicking the Activate button in the lower right corner of Additional Drivers, and then reboot to enable the graphics card driver. Not the answer you're looking for? 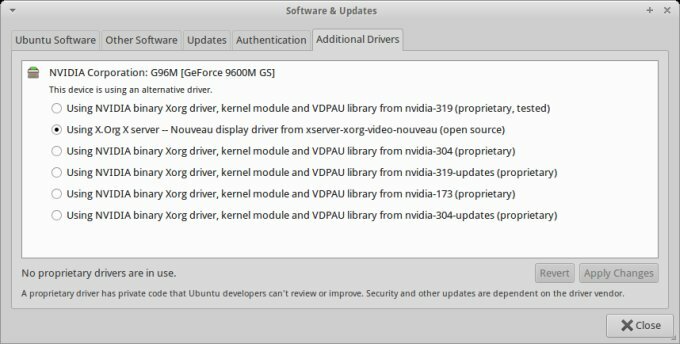 Browse other questions tagged drivers xubuntu gpu or ask your own question. Intel HD Graphics (integrated) Minecraft graphical freezes and glitches - graphics driver or card? Best graphics driver for HP Laptop with Switchable Graphics? Where can I find the right GPU driver for a MSI M670 notebook runnig Ubuntu 14.04.2?